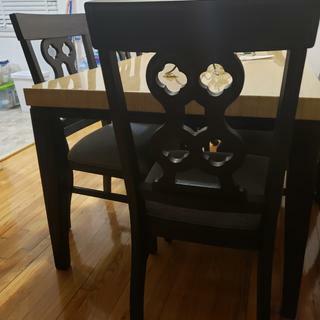 L: 20" x W: 24" x H: 40"
Belmore Dining Chair Turn dinnertime into your favorite time with the Belmore dining chair. This chair offers a look that's both classy and casual, and has plenty of comfort to go along with it. Perhaps the first thing you'll notice is the clover-shaped cutouts. Pair those with comfortable upholstered seats, and you've got the perfect spot for long conversations at the table. 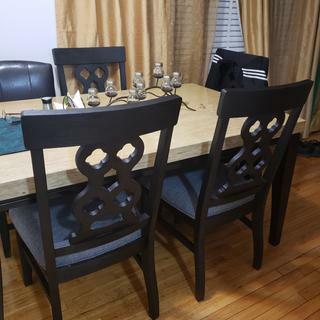 Turn dinnertime into your favorite time with the Belmore dining chair. This chair offers a look that's both classy and casual, and has plenty of comfort to go along with it. Perhaps the first thing you'll notice is the clover-shaped cutouts. Pair those with comfortable upholstered seats, and you've got the perfect spot for long conversations at the table. 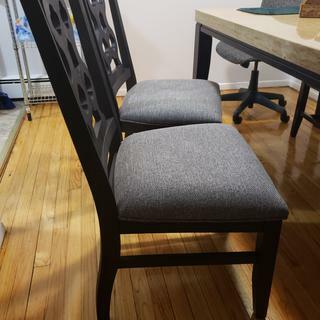 Chair features a polyurethane-foam-padded seat covered in soft and durable, 100% polyester upholstery for a stylish finishing touch and extra comfort. Chair stretchers provide extra support and stability for added strength and stability. We are so Happy, price and quality are Great !!! Well made and very sturdy. Modern and classic both. 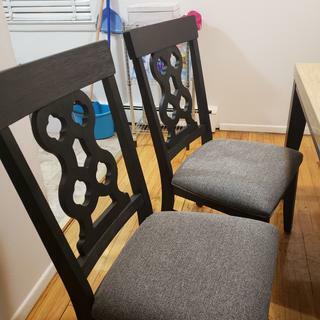 Love these chairs so sturdy and they match our farmhouse table perfectly! They are well made, dramatic in their look and comfortable. 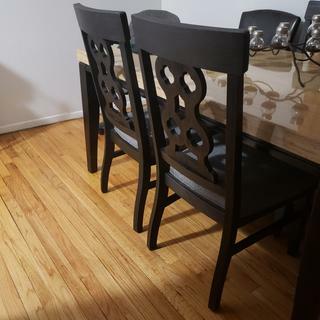 I am so excited to have these in our newly renovated home, in our new dining room.